A rapidly growing genre on both console and handheld platforms is the electronic board game. Capitalizing on the success of franchises like Mario Party, Magic: The Gathering, and Hearthstone, developers are trying their hand at adapting a number of different types of tabletop play into a digital arena. 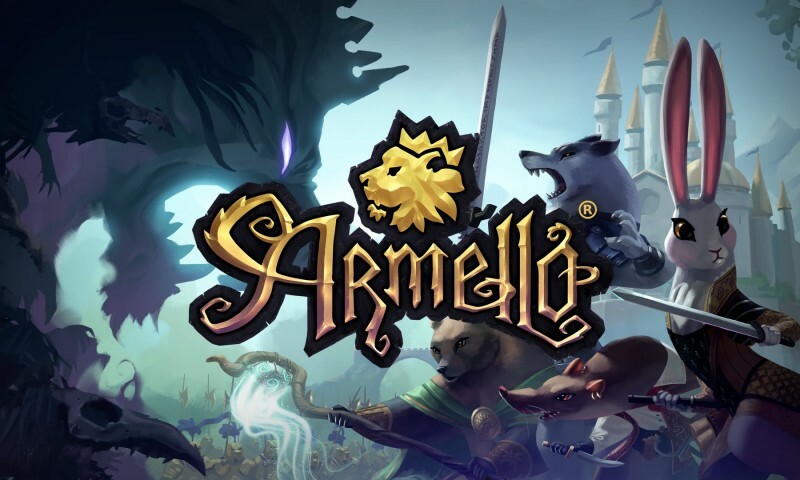 Armello is a beautiful addition to the genre, combining several different aspects of strategic board games into a polished whole that, with any luck, should survive as a fantastic party game for long-distance friends. The game is taught through a four-chapter prologue that introduces players to the world and concepts of Armello. The setting is a medieval kingdom populated with anthropomorphic animals hearkening back to the Redwall series of books, ruled by a dying king slowly running his realm to the ground. Heroes from different animal clans are all vying for the throne, with victory in each game coming from one of four routes. Players can play the political game, building their prestige to put themselves in the king’s favor so that when his illness overtake him, he names them as his successor. They can try to kill the king outright for his throne, or build their corruption level higher than his and become the Lord of Rot. The final and most intricate path to victory is the route of purification, tasking players with collecting four spirit stones hidden through the board and bringing them to the palace in order to cleanse the king of his corruption and save the kingdom. Each playable hero has a number of unlockable rings and amulets that can help set you towards a specific victory route. I generally drifted toward the pacifist routes, trying to build my prestige or going out of my way to collect spirit stones. The board is a large grid of hexes that doesn’t seem to vary from game to game. I’m not sure if the developers are planning to add additional boards in the future, but it would certainly help the game’s longevity. Turn order is fixed at the start of the game and can’t be changed, which forces you to think ahead and anticipate the actions of other players. Charity doesn’t get you far in this kingdom, and while alliances can be coordinated, the fact that there’s an in-game achievement for betraying your ally and taking their settlements in the same turn should tell you all you need to know about how much you can trust each other. After all, there can only be one king. You’ll also have to balance different resources each turn in order to play cards from your hand. Cards contain equipment, spells, NPC allies, and traps that you can place on the board. I found myself using these trap cards as a zoning technique, keeping other players away from the portions of the board I wanted to move through. Aesthetically, the game is gorgeous. The art for the cards and the characters is top-notch, with beautiful cel-shaded 2D character models for the battle sequences. Animations are fluid, and the ambient soundtrack works in tandem with in-game events to fully flesh out the atmosphere. The flavor text for all the cards and events is well written, and while the game could easily have fallen into the pitfall of giving annoying voices to its animal characters, it wisely makes the decision to forego voice acting entirely. Ultimately all of my complaints are about the game’s lifespan, and those could easily be addressed with content updates. 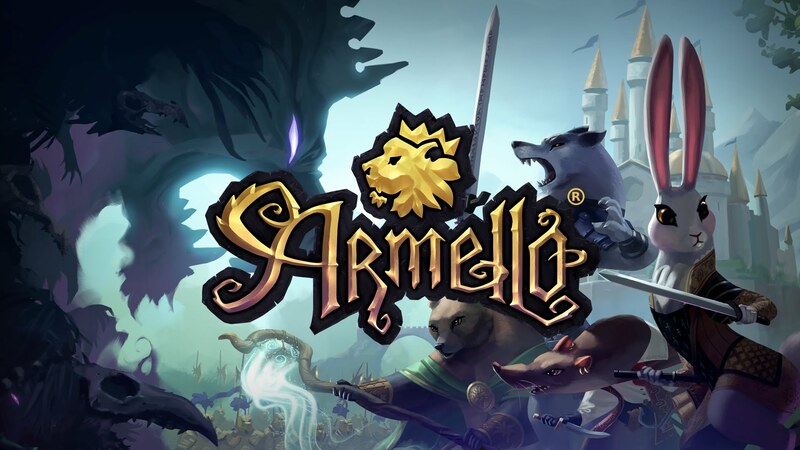 If you’re a fan of tactical RPGs, board games, games with fantastic art and lore, or if you’re just into anthropomorphic animals to an uncomfortable degree, then give Armello your time.